From record-breaking attendance to worldwide trending on social media on opening day, NPC19 was one for the books. How many came? From where? Check out the impressive numbers tallied at this year's premier planning event. It's not too late to start thinking about next year's conference! You could shape NPC20 in Houston by reviewing educational session proposals. Volunteer to be an NPC20 peer reviewer by noon (CT) on May 1. Log the CM credits you earn at NPC19 while the sessions are fresh in your mind. Logging credits on the go is easy from the NPC19 app or conference webpages. Remember — if you're in the 2017–18 CM reporting grace period you must log all your required credits by April 30. Planners are making the cannabis industry work for their communities and others are engaged in local efforts to fight climate change. Read their stories — and learn about entrepreneurs who are revitalizing an Athens neighborhood — in the April issue of Planning. 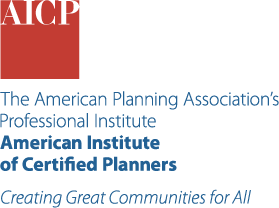 Current and past issues of Planning are free and always available online for APA student members. Learn comprehensive planning practices and the role of Wi-Fi SuperClusters in planning a resilient and sustainable smart city. Through case studies, experts share how high-speed broadband drives economic development and improves public safety, agricultural output, health care, and educational services. This session explores scenario planning at Naval Station Guantanamo Bay, commonly referred to as GTMO. The naval station is widely known, yet frequently misunderstood, and faced with significant planning challenges due to isolation and limited interaction with the host country. Developing small lots helps curb sprawl and promote sustainable regional growth. Explore how considering design, site layout, and context facilitates the redevelopment of these sites. Case studies from inner-city communities, redeveloping seashore towns, and established neighborhoods will demonstrate best practices. Innovation Districts have captured the attention and imagination of planners and development officials around the world. However, few cities can marshal the resources and level of investment that reflect the concept's most successful models. Planners believe communities should serve all, regardless of race, gender, socioeconomic status, age, or ability, and that all people deserve access to reliable and efficient transportation, affordable and accessible housing, and healthy and sustainable communities. Learn more at planning.org/foundation. Smart Cities or Surveillance Cities?